There are approximately 100 alcohol and drug rehab treatment facilities in Alberta total including detox centers, residential alcohol and drug rehab centers, outpatient rehab centers. Our staff is experienced in working with these drug rehab centers and is familiar with the help offered in Alberta, if you need immediate assistance we are just a phone call away. If you are looking for help in enrolling in a drug rehab center in Alberta you will have options based off of your individual situation. You will have the option of being enrolled on many different type of programs. Some of these programs will have waiting lists and some will not. Depending on what type of drug you are using you may need a medical detox facility before entering treatment. Your best option will be finding a drug rehab center that offers all of help you will require on site so you do not have to surf from center to center. You will want to find a program that offers you the exact help you need to avoid relapse even if it means that your program could take months to complete. If you are a friend or family member of an addict and are looking for information on suitable drug rehab centers in Alberta help is available. You will want to know some basic information about the addict before you get started, this will help you get further in the enrollment process, you will want to know the following; the addicts age, what is the addicts drug of choice, is the addict willing to get help, are there any immediate medical concerns, is the addict taking any medications, and has the addict ever been in treatment. Note: If the addict is not willing to get help please call us or see the information on Intervention on this site. Based on individual circumstance there are very good solutions available to help the addict enter a drug rehab center in Alberta. A seven to 10 day detox is usually not the solution, what you have to remember is that the addict did not get involved in drugs or alcohol overnight and the addiction did not form on its own, so treatment must be a real solution and handle the entire scope of the addiction. 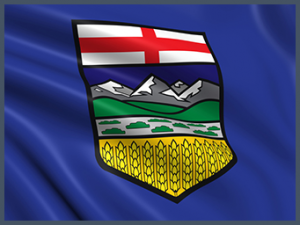 A lot of the government drug rehab centers in Alberta will offer a 18-28 day stay then recommend outpatient care afterwards, before you enter theses programs they will want to see the addict drug free for one week. For an addict to stay clean for one week on his or her own without treatment is generally out of the question. Because of this will want to find a drug rehab center that will handle detox and treatment on site in one location. This will provide a safe, secure and potentially effective path to recovery for the addict and his family.